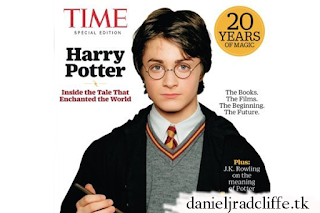 TIME magazine will release a special edition to celebrate the 20th anniversary of Harry Potter (26th June 2017 marks 20 years since the first Harry Potter book was published). 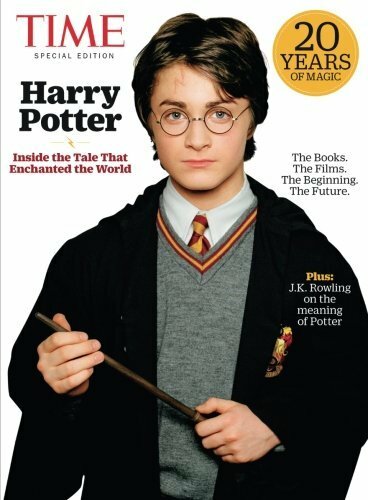 Some things that are included: An overview of each book and movie in the series, interviews with Daniel Radcliffe and Emma Watson as well as other cast members, “20 Life Lessons from Rowling and Co.” and more. The issue will be released on 23rd June 2017. Amazon link. Paperback or digital (Kindle). On page 89 the "Potterworld Family Tree" is missing Teddy which can be forgiven but it lists the Potter's as being Lilly and Perunia!!!! What the actual F!!! And they put some of the Weasley cannon grandchildren but not all?!?! I noticed that too. Seems like all the editors did was slap together old interviews and send it to press! You would think SOMEONE would at least proof read the family tree. Everything else was already done for them! I have noticed that in your 20th anniversary Harry Potter magazine that you have made a slight error in stating that Hermione Granger is half blood. Below I have found some of the definitions of mudblood and half blood. I just thought you should know before you printed any more! As such, he was regarded as a Muggle-born. The trio of Harry Potter, Hermione Granger, and Ron Weasley consists of all three types of Wizards. Harry being half-blood, Hermione being Muggle-born, and Ron being Pure-Blood. Half Blood is a term for a witch or wizard that has 1 magic parent and 1 Muggle parent. Most of the wizarding world is either made up of half blood or muggle-borns. There is no derogatory term for half bloods like there is one for muggle-borns (mudbloods). So the purebloods that think they are better than everyone else, can't call them a bad name. Seamus im half-and-half. dad's a muggle. mum's a witch. Dean:yeah im half blood. my mum's a muggle and my dad's a wizard. Mudblood is a highly derogatory term for a Muggle-born wizard or witch; that is, individuals with no wizarding relatives.